Fissure sealants are a safe and painless way to protect your back teeth from decay. 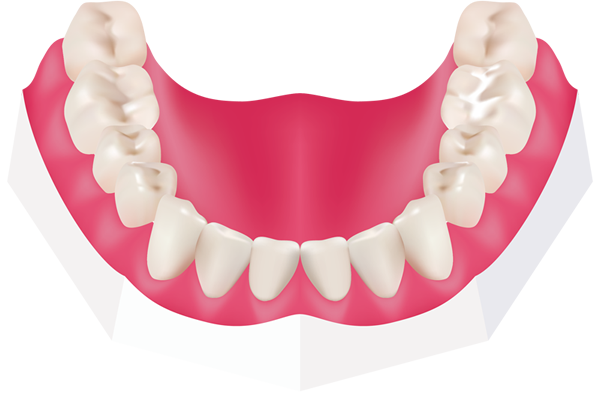 Our back teeth have natural grooves and pits known as fissures. Food can get stuck in the fissures and they are harder to clean when brushing. This can increase the risk of tooth decay. Therefore, fissure sealants are commonly used to coat the fissures of the back teeth to prevent decay. Fissure sealants are white, plastic coatings that are painted onto the biting surface of the back teeth. These biting surfaces are criss-crossed with tiny hills (pits) and valleys (fissures), which provide a perfect breeding ground for bacteria. To prevent cavities in these pits and fissures you can cover them with a special resin varnish. That is called a fissure sealant, which has been proven to reduce the risk of decay. The application of fissure sealants is a straightforward procedure and can be done once your child’s permanent back teeth have started to come through (usually at the age of about six or seven). The application of a fissure sealant is a simple and painless procedure which involves no drilling or injections. It takes only a few minutes for each tooth. You child’s tooth is thoroughly cleaned, prepared with a special solution, and then dried. The liquid sealant is then put onto the tooth and then set by using a blue light. The procedure is completely pain free, although you may find it feels a bit strange when biting at first. If accompanied by good oral hygiene maintenance, fissure sealants can significantly reduce the risk of needing fillings in future. If you would like to discuss fissure sealants for your children at Heath Street Dental you can visit us for an examination with any of our dentists. Simply use our Book Appointment form to book your child’s next check up.